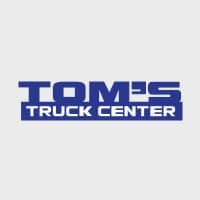 If you don’t see the exact truck you want in our extensive inventory we’ll build it for you. We “re-fit” trucks with different bodies and liftgates all the time. In fact, we have a department that specializes in installing new and used bodies and liftgates to meet the demands of your company. Pre-owned vehicle pricing includes all offers and incentives. Tax, title and tags not included in vehicle prices shown and must be paid by the buyer. While great effort is made to ensure the accuracy of the information on this site, errors do occur so please verify information with a customer service rep.